The Pittsburgh Steelers have four quarterbacks in training camp. They’ll carry three at most into the regular season. Translation: one of them will be out of a job when rosters are trimmed to 53 on Sept 1. The goal over the next three weeks for all three of Ben Roethlisberger’s backups is to make coach Mike Tomlin’s decision on which one to let go as tough as possible. 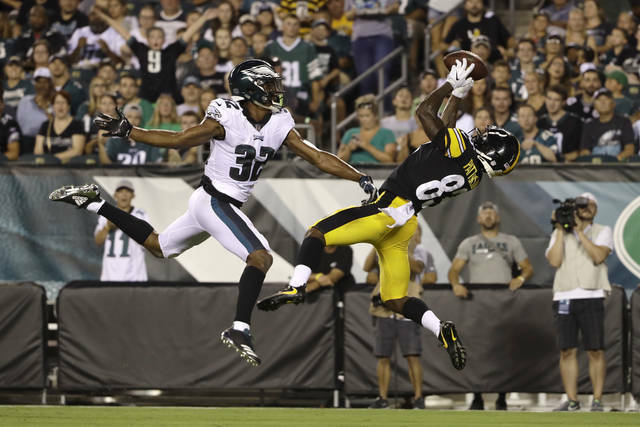 Jones and Dobbs each threw for touchdowns in Pittsburgh’s preseason-opening victory over Philadelphia on Thursday night while Rudolph kept the offense moving throughout the second half. Tomlin praised their respective play, noting they accounted for just one turnover — Dobbs’ interception — and overall efficiency after combining to complete 20 of 29 passes for 252 yards and the two scores. 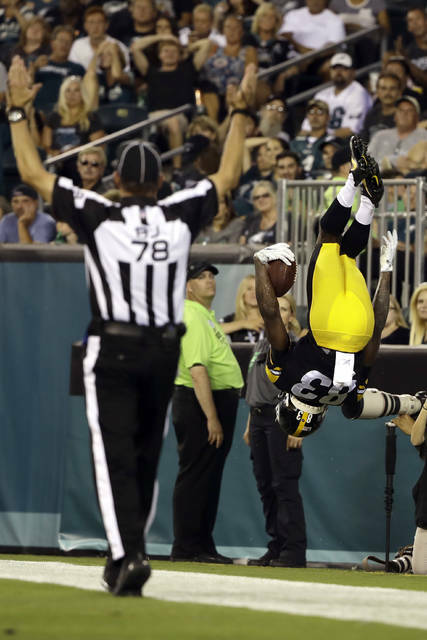 “Largely they did a good job of taking care of the ball, and that’s important,” Tomlin said. 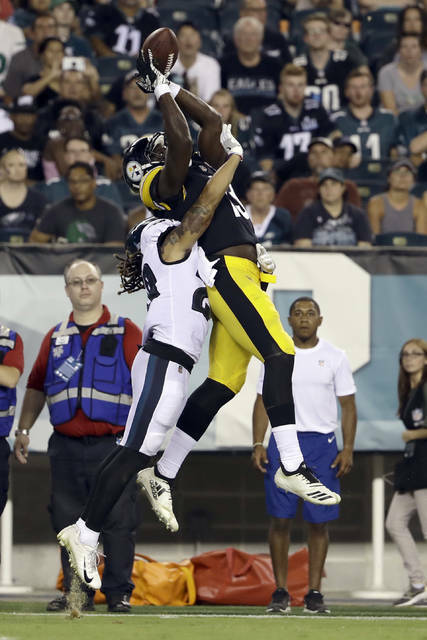 “I think throwing it to (James Washington) a little bit more could help,” Rudolph said. Dobbs hadn’t taken a snap in a game since the end of the 2017 preseason and likely needs to put together something special during camp to convince the Steelers to keep him. He rebounded from the interception by leading a near-perfect two-minute drill at the end of the first half. Dobbs completed 6 of 9 passes in taking the Steelers 75 yards, the last 29 coming when he stepped up in the pocket and threw a dart in the end zone to a leaping Damoun Patterson. With many children heading back to school this month, the Ohio Department of Job and Family Services (ODJFS) and Ohio Department of Education (ODE) remind parents to visit ChildCareSearch.Ohio.gov when searching for before- and after-school care for their children. Families can search for child care providers by county, city, zip code, program type and Step Up To Quality rating. Step Up To Quality is Ohio’s five-star tiered quality rating and improvement system, which recognizes programs that exceed minimum health and safety standards and promote children’s learning and development.